The parallel interface is an interface which sends up to 8 bits of data for each of the three colours; red, green and blue every clock cycle between a processor and a display. With up to 24 bits in total transmitted every clock cycle, a clock rate of up to 50 MHz can be achieved. The parallel interface has a low cost due to the maturity of the technology and is widely accepted and used within the industry. It works with medium to large displays and has bandwidth capabilities of up to 1.2 GB/sec. Due to 24 bits of data being transmitted of red, green and blue, up to 24 pin-outs are required from your processor, all 29 pins will output a fast clock signal which can create electrical noise and can cause issues confirming to EMC standards, to get around this issue you should consider moving to a LVDS display. 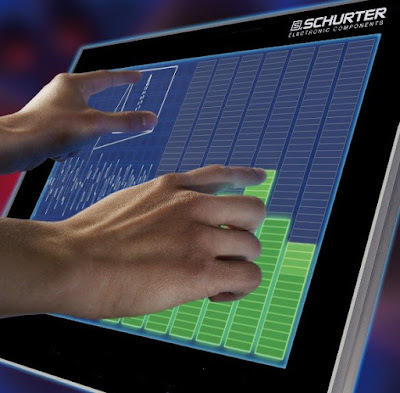 To find out parallel interface and how SCHURTER Electronics can help find your business solution, email our team today or give us a call on 01296 319 000.